New Zealand Department of Conservation concession operator. Complies with the NZ Govt occupational safety and health guidelines. Nature Connections Rotorua NZ (NCRNZ) reserves the right to alter or cancel any tour due to adverse weather conditions or under any other circumstances beyond NCRNZ´s control which may endanger the safety of the tour participants. Whilst we take great care, NCRNZ shall not be responsible for any loss or damage which may arise when on tour or utilising any service provided by an NCRNZ agent. This exclusion is subject to any rights or remedies of the customer under the consumer guarantees act 1993. NCRNZ shall not be held responsible for any loss or damage resulting from events beyond it´s control, such as fire, machinery breakdowns, natural disasters, civil disturbances, theft or delay due to any other circumstances beyond the companies control. 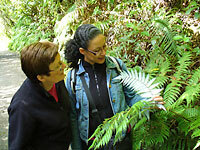 offers a variety of guided tours and walks in and around the Rotorua and Bay of Plenty region. Perfect for independent travellers, the personalised small group tours and walks are expertly led by knowledgeable local guides. The company’s enthusiastic guides provide authentic nature experience’s which combine the best of the regions natural attractions, scenic highlights with the opportunity to get off the beaten track to actively discover the amazing diversity of this areas spectacular geothermal activity, stunning volcanic landscapes, beautiful scenic lakes, magnificent ancient rainforests, breathtaking coastal scenery and birdlife. 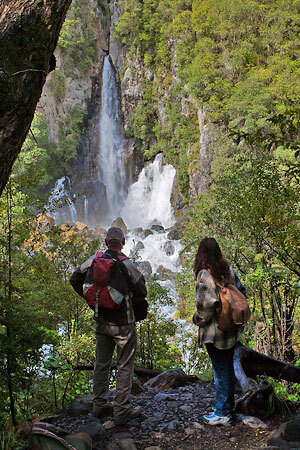 In addition to the company’s pre – arranged tour itineraries, requests for customised and privately guided tours and walks are very welcome with ideas, planning assistance and costs readily available from the Nature Connections Rotorua NZ team. Nature Connections Rotorua NZ offers year round daily guided tour and walk departures, with the exception of Christmas day. The guided tours and walks are operated on a pre – booked basis therefore bookings are essential. Pick up and return accommodation transfers within Rotorua City are included in all tours. Transfers outside the Rotorua City area may incur an additional charge, if an additional cost applies this will be advised at the time of inquiry/booking.